Acupressure is a natural process that helps in achieving long-term relief from acute body pains and revives the body as a whole. Here are acupressure points to help you relieve common pains. A problem that everybody suffers from at one point or the other, headaches can be a real pain that ruins your productivity. Try these acupressure points for quick relief from those headaches. Bad posture and sedentary lifestyle with long hours of desk work result in acute back pain. 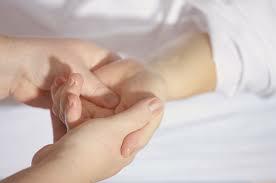 Acupressure helps in treating muscle strains, sprains, arthritis and other reasons for back pain.